1. They place their content online. Design aspects are of importance, but content is still king. YouTube, Facebook and Instagram aren’t just cool-looking apps. These apps bring producers of content (yes, even the self-published ones ), and its consumers to one place. 2. 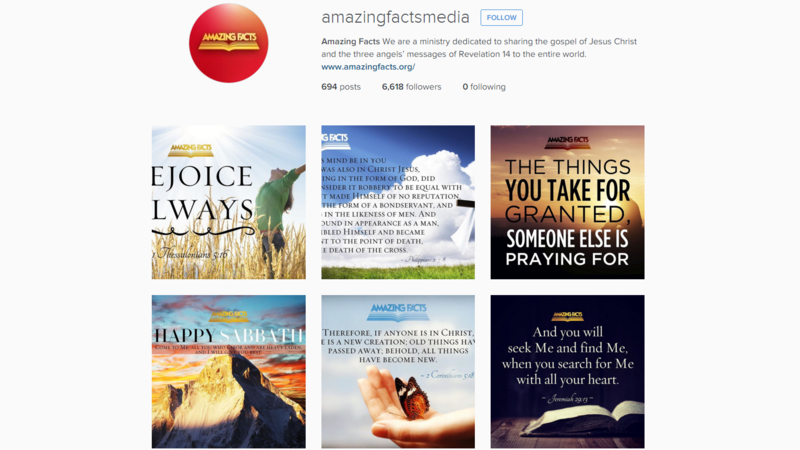 Due to the giveaways, Amazing Facts are able to sell premium content via their online store. 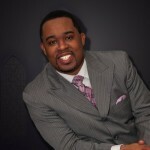 You cannot be successful selling content like sermons or music, if you don’t have great, free content. Therefore, if you are trying to raise money for your ministry by selling content, you should focus on providing great, free content, in the first place. For example, in the form of ebooks. This great, free content turns their site into a lead magnet attracting more people which, in turn, enables them to collect more information as new visitors opt-in. This is an example of Study Guide that can be downloaded from the website for free. 3. Their site’s homepage includes an obvious opt-in option. This is one of the best ways to collect information about your visitors, which enables you to build an email list, keep in touch and develop ongoing relationships with your supporters. Scheduling mailouts can assist in automating the ongoing relationships. By engaging email subscribers with worthy, information-packed emails, your ministry can keep people returning to the site for more content. 4. They offer extremely responsive design. This means that the site will provide great experience, whether visitors are using desktops, laptops, tablets or mobile phones. This also helps their SEO, because Google rewards sites that are mobile-friendly. This makes it easy for visitors to find what they are looking for. Navigation is organized around the needs of the users. Options are based on what visitors are looking for and not on what the ministry wants to say about themselves. 6. 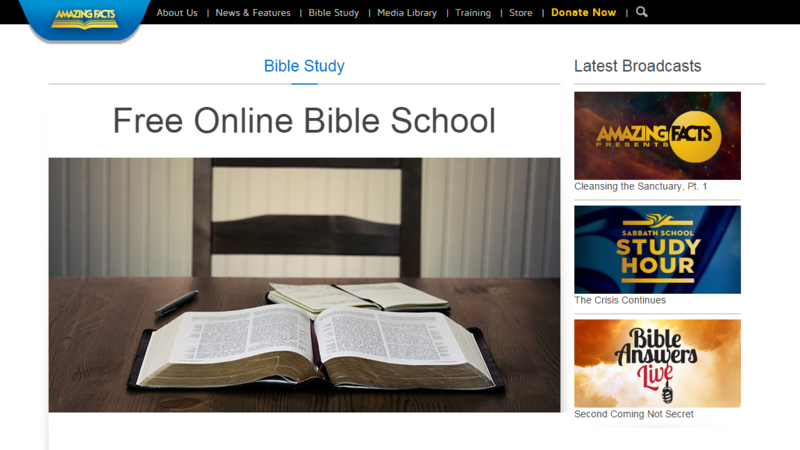 They offer online Bible study classes for free. This is a big deal, because people are information-hungry. They are looking for new facts to learn, as well as for ways to having their questions answered. Since people check your ministry or church online before attending, an online course is a great way to introduce them to what they will experience when they attend a live event. 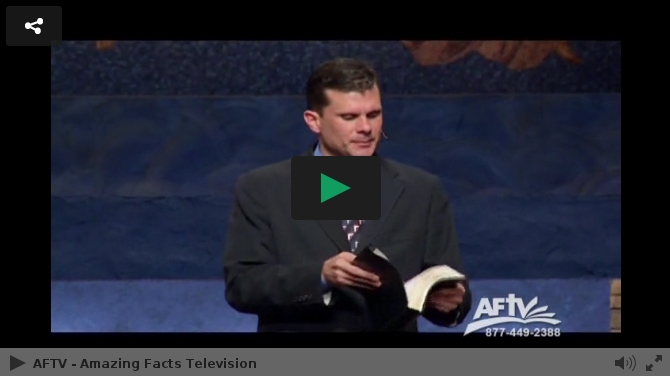 Amazing Facts have had over 5,000 people graduate from their Bible classes in 2014 alone. 7. 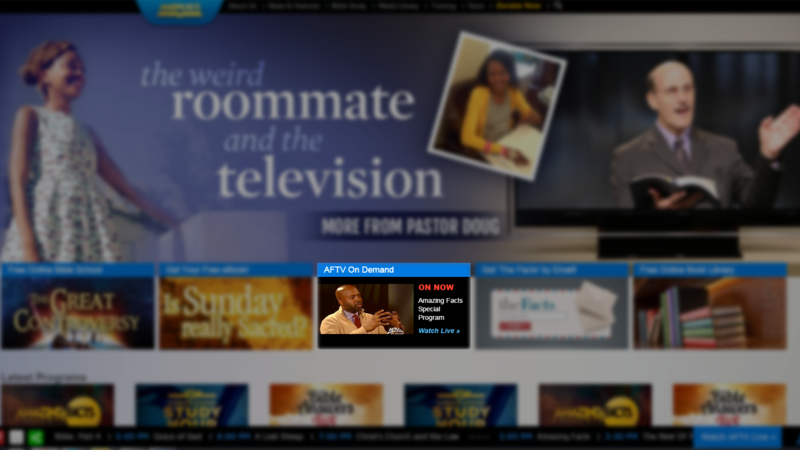 They offer a 24/7 broadcast stream of the content from their radio and television broadcasts. This is another way they repurpose content. 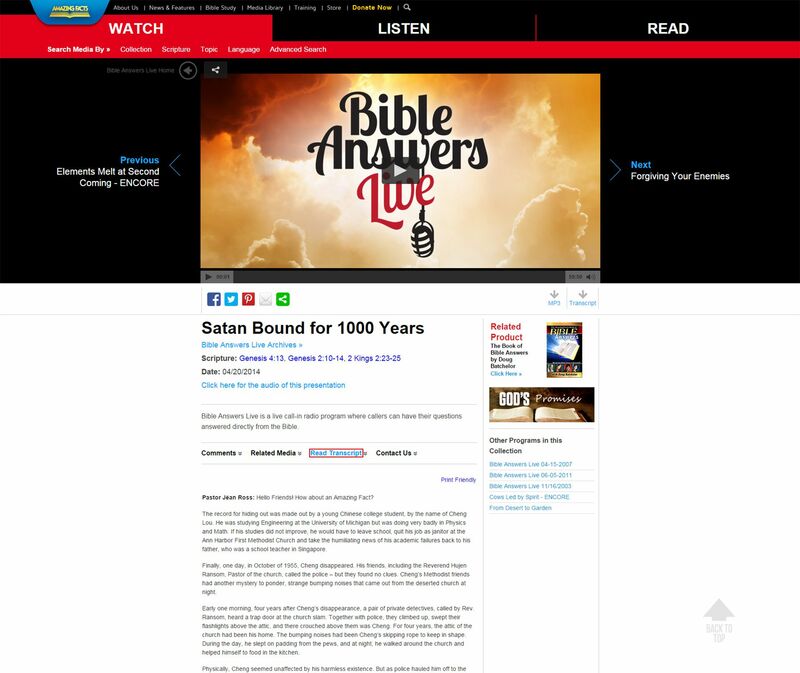 Instead of burying old content in archives, they keep it alive and available on demand. 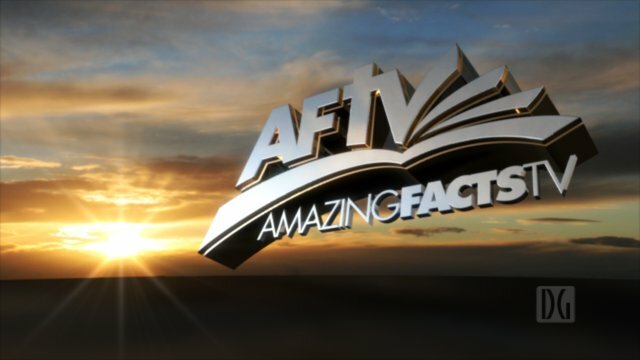 Amazing Facts is broadcasting for free 24/7. 8. Shorter videos are accompanied by transcripts in text. This helps people who don’t want to listen to the whole talk. It also helps with SEO because the text can be scanned by search engines, while the video cannot. By including transcripts, keywords used in the video can be found by search engines. 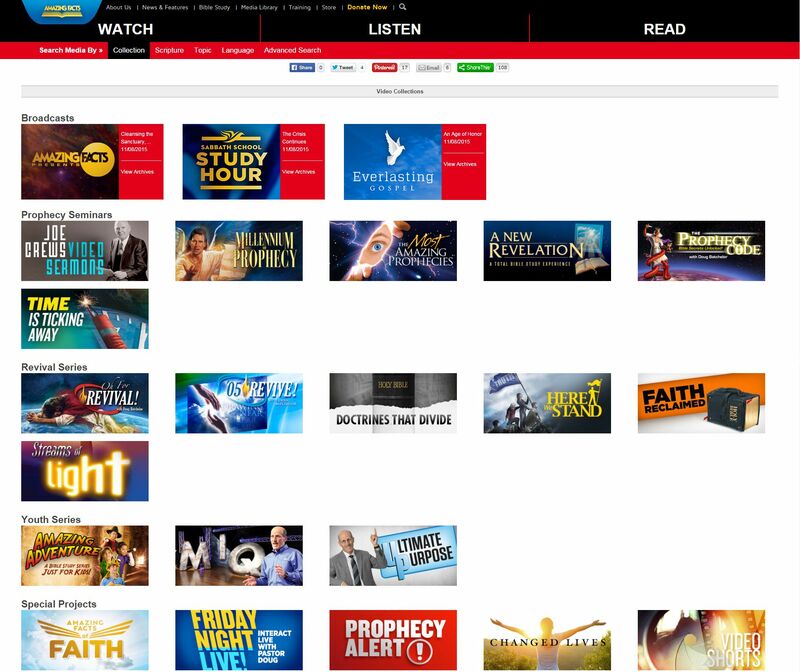 Your ministry could take on a similar approach with shorter videos or they could compose keyword-rich summaries of longer sermons and talks published on YouTube and Vine. 9. They include short videos, as well as longer ones. 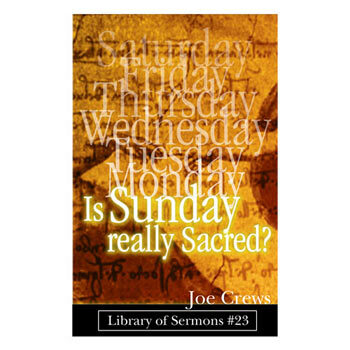 Many churches post longer videos of sermons and talks, but Amazing Facts also extract the highlights and distribute these through a number of short videos, for people who just want the key points. This is a good way to repurpose content that you already have, in order to attract even more traffic and views to your site. 10. They Brand their messages. In addition, they produce branded content, like a series of videos on the same subject. This content resulted in more than 11 million visits in 2014. 11. Text message short codes are embedded in videos. When you watch a video on the Amazing Facts site, you are invited to text using a specific short code, in order to receive a free ebook. This is great, because a viewer can just pick up his phone and respond, while they continue to watch the video. Amazing Facts are also able collect the viewer’s information and continue to issue this person with updates. crossMRKT enables your ministry to do the same thing. 12. 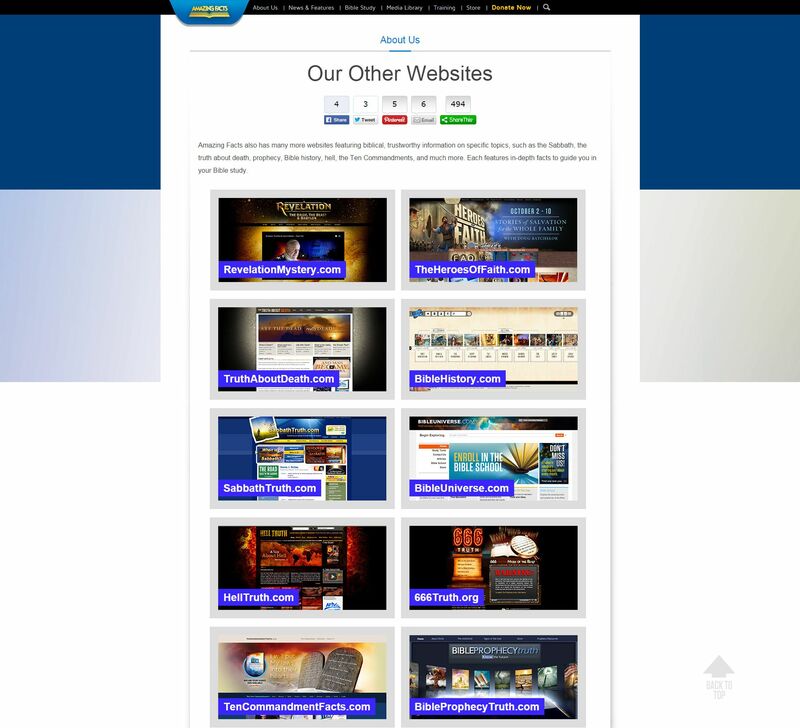 They own many sub-sites, which are dedicated to specific topics. They also create many landing pages for offers related to these topics. This helps people to take action when they are interested in a specific topic. 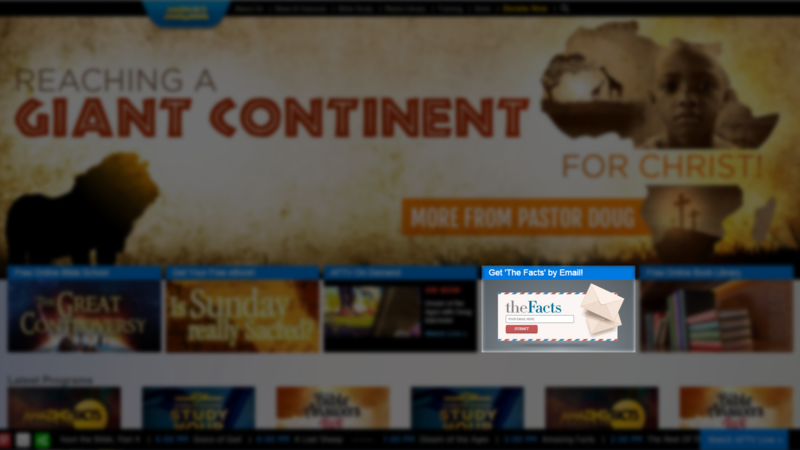 These “squeeze pages” allow you to focus your ministry’s content and promote it with a sub-site landing page which, in turn, attracts more attention. Instead of burying content in one large site, you should create a landing page for each of your main categories, to highlight content based on your preference. 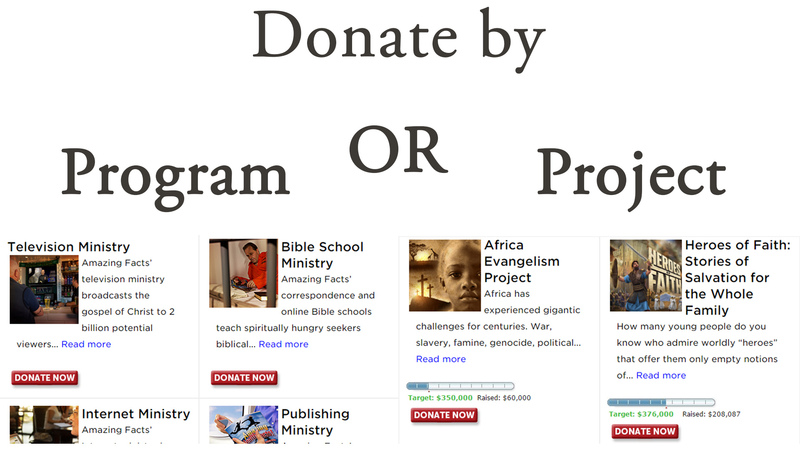 Donors can choose which project they would like to contribute to. This really helps donors to feel involved in the work of Amazing Facts. People can contribute to causes that they are passionate about and feel a sense of accomplishment when the goal is met. When people are passionate about a particular project, they are more likely to be willing to give. This is a great way to increase your organization’s fundraising efforts. A good online-giving platform makes this easy to setup and manage. 14. 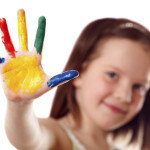 They have fully integrated social media sites into their web design. Amazing Facts have over 400,000 Facebook fans and they gain 5,000 new fans every week. They share content on their social media accounts and make it easy for visitors to share this content with their friends. 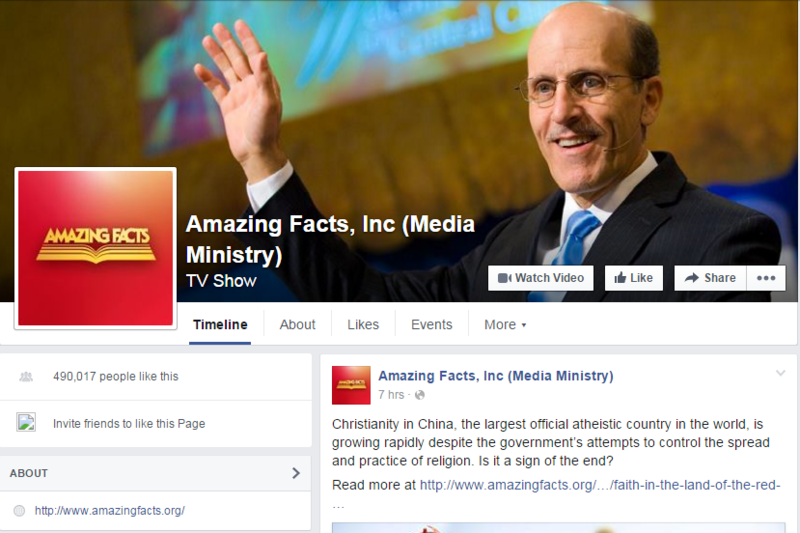 In addition to having social media for the ministry, they also have social media sites for their key personalities. 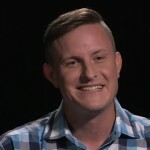 Engaging with the audience is important for any pastor or ministry leader and doing it through a public profile page helps in protecting their private connections. You can either set up a separate public Facebook page or turn on public sharing for your personal page. 15. They have a mobile app. This allows Amazing Facts to engage their audience with rich multimedia content on their phones. One of the most popular uses of apps is to access rich multimedia content, so this is a great way to promote your content. 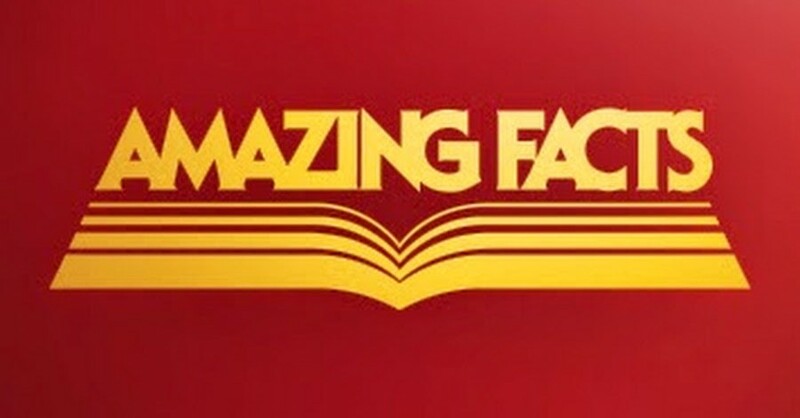 The Amazing Facts app has over 50,000 users. 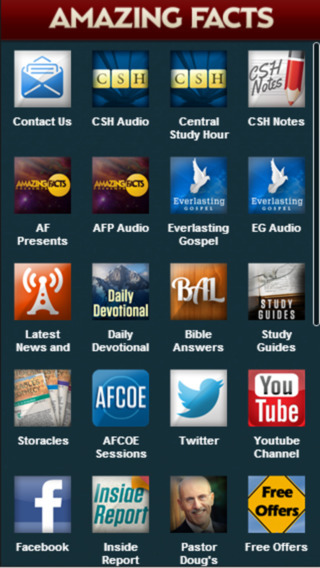 Your ministry can also develop a mobile app with PocketPew. 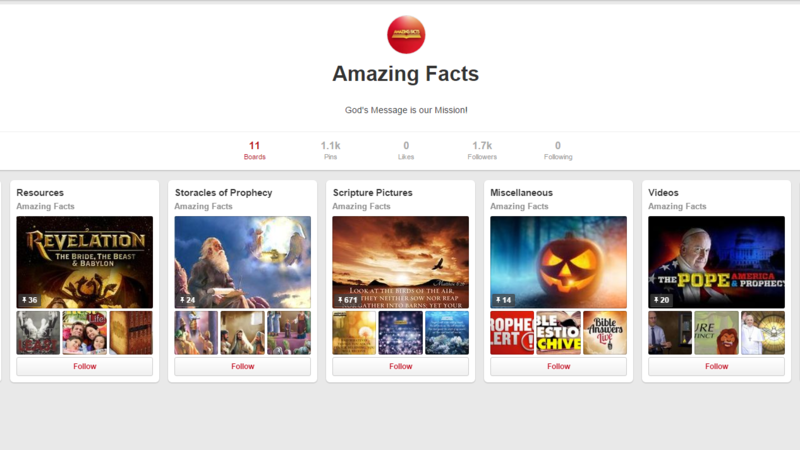 Some of the many features of the Amazing Facts app. 16. They are a ministry. This makes them really flexible and innovative in terms of methods they use to carry out their mission. Many pastors establish independent ministries regardless of their denominational affiliation, in order to expand their personal reach beyond the limitations imposed by the denominational structure. 17. 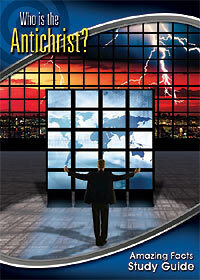 They continue traditional marketing efforts alongside their Internet outreach. 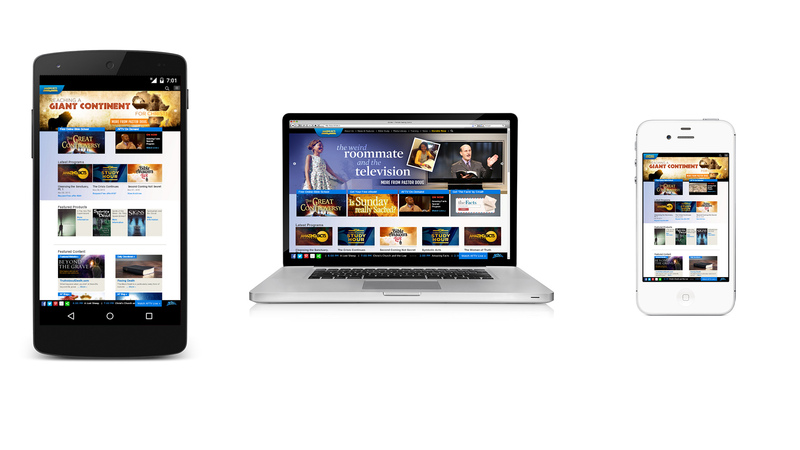 They use radio, television, telephone, and direct mail to complement their online marketing. When developing a marketing plan for your ministry, you need to truly understand your audience and what communication channels they are going to respond to well. 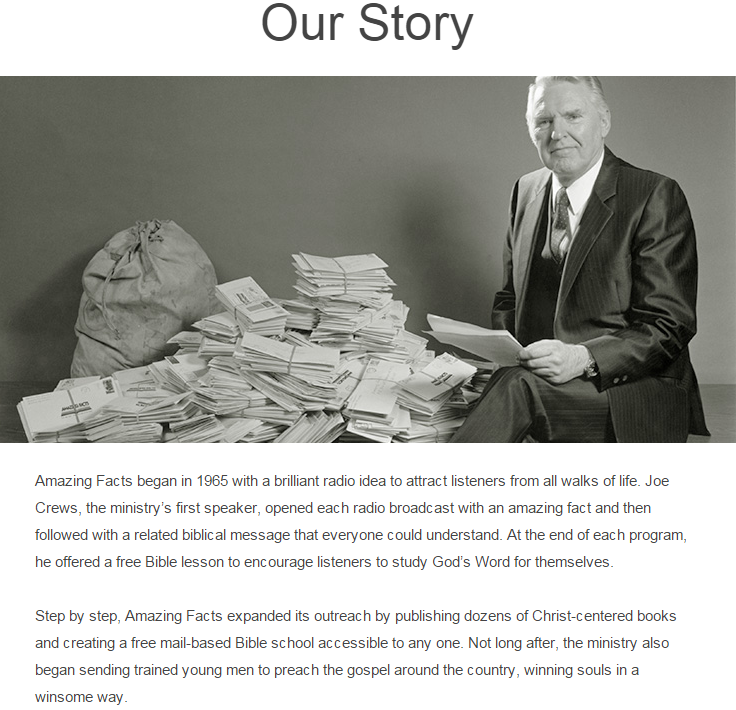 Be sure to check out the new Amazing Facts website. Then, contact us at FluidMin, to find out how we can help you to implement some of the mentioned features on your website.